Recently, I've been lucky enough to win two gorgeous boxes of goodies from two very lovely ladies. Firstly, Jenni at Bows, Bangles & Bakes held a giveaway to celebrate her blog's first birthday. 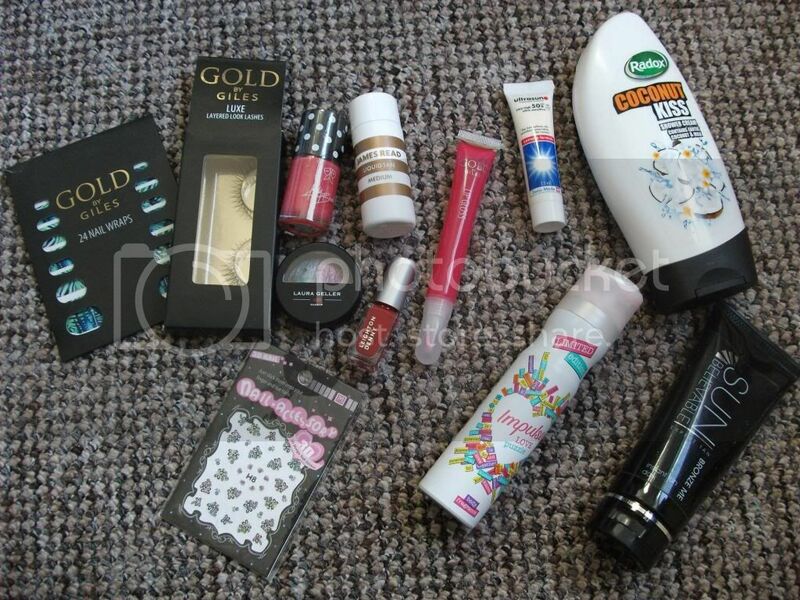 The prize I received was a box of lovely bits and pieces including some Soap & Glory minis, some lovely make-up (the eyeliner is awesome, I'll be reviewing it soon! ), some Herbalife Aloe Vera Gel, and Jenni also tucked in a couple of samples for me to try. The prize also included advertising packages with Bex, Hayley, and Sarah. All three of these ladies were really helpful in setting up the ads, and I have to say, I've noticed quite a few pageviews coming from them, so if you're after somewhere to advertise these are definitely worth considering!! Thank you Jenni for this fab prize. 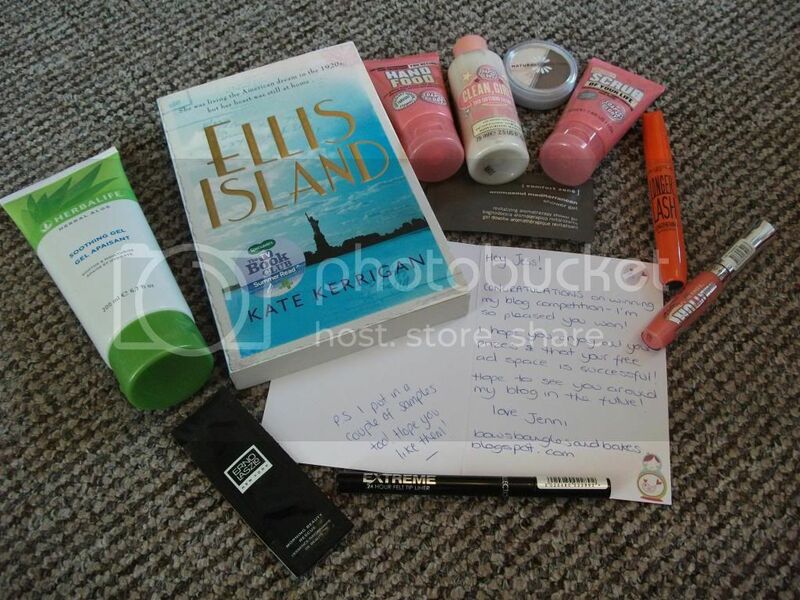 A couple of days later, I found out I'd also won Annie Million's first blog birthday giveaway! I collected the package from the post office and opened it (to the fascination of my step-daughters, who smiled and nodded understandingly as I pulled things out and showed them...) to reveal a lovely selection of bits and pieces, including a Ted Baker bath set, Gold by Giles make-up, gorgeous jewellery, Leighton Denny & Kelly Brook nail polishes, and some Jonathan Aston stockings. Again, thank you so much Annie for this lovely prize! I feel so lucky to have received these beautiful prizes, please do go and have a peek at Jenni and Annie's blogs, they're both well worth a read. Have you won anything lovely lately? Link me up if you've posted about it! You lucky lady! I won a a blog competition a few months ago and still waiting for the prize to come through, ha! Yep you should definitely do some reviews!